The STEAM summer school running between the 13–22 July in Cleves (Germany) is pleased to announce that all of its participants will be granted free registration to the EuroScience Open Forum (ESOF) conference held between 25–27 July in Manchester (United Kingdom). Group travel arrangements will be made from one location to the other. STEAM is a 10-day intensive summer school in science communication aimed at training the next generation of science communicators. Interactive experiments and informal learning, with a dose of creativity and the arts, are the key ingredients of the school’s unconventional approach. All participants of the summer school will be able to take part to the ESOF conference free of charge. As the largest science conference in Europe, ESOF offers a three-day programme packed with talks and events. The first day focuses on the impacts of advancements in science and technology on our society and economies; the second day revolves around space, universe, and our own planet; and, the last day looks at the interplay between humans and artificial intelligence. The conference brings together leading thinkers in European, innovators, policy makers, journalists and educators to talk about contemporary and future breakthroughs in science. It will be a unique occasion for STEAM summer school participants to practice recently learned concepts, access one of the largest networks of scientists and science communicators, and learn about the latest scientific discoveries. For more information see www.steamsummerschool.eu or contact steam@um.edu.mt. Funded by the Erasmus+ programme, STEAM is led by the University of Malta, with the following partners: European Union of Science Journalists’ Associations (EUSJA, France), Haaga-Helia University (Finland), science communication company Science View (Greece), University of Edinburgh (United Kingdom) and Rhine-Waal University (Germany). 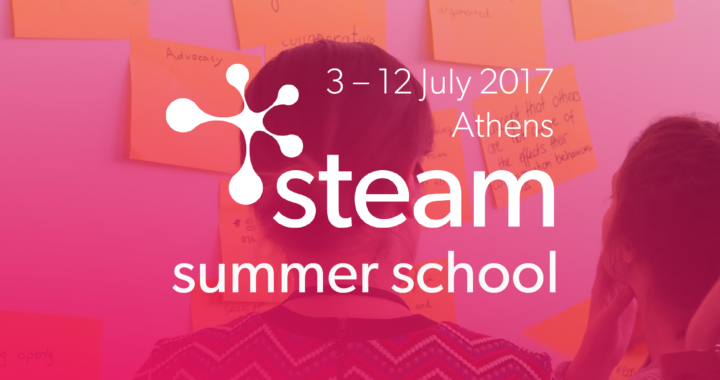 The STEAM summer school thanks ESOF for granting free access to its participants.